Hello There, Merry Kitty Christmas! Feeling the Holiday spirit now as Christmas is just around the corner. 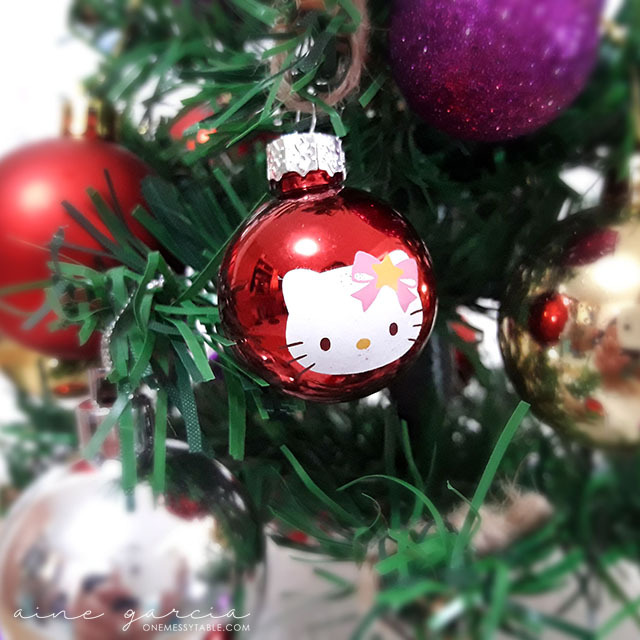 Finally was able to use these tiny Hello Kitty Christmas balls on our tiny Christmas tree! Got them from a giveaway I joined years ago.